Mike Garland this is for you. I have been thinking about writing this story for quite a while. Mike Garland is a regular at the Gym, a good guy and a knowledgeable boxing fan. Many times he has brought up Henry Cooper, the British heavyweight contender in the late 1950’s and early 1960’s who is best known for knocking down a young Muhammad Ali when he was called Cassius Clay and before he won the title. Mike is pretty high on Henry Cooper. He thinks he was a great fighter, and if not for the fact that Henry cut easily and was often bloodied that he could have gone far; who knows even beat Ali and win the World Heavyweight Title. I respectfully disagree. I know well who Henry Cooper is and also know British boxing and their history of “Horizontal Heavyweights” which is the long bleak history of Heavweights from Britain and especially England who failed one after the other to beat the best, even though each was supported with brass bands playing and enough ethnocentric and nationalistic hype to launch a man to the moon. Then the fight happens and one after another they are pounded from pillar to post and leave the ring a loser. A couple notable examples are Tommy Farr who Joe Louis chased and battered in 1937. All Farr could do was run for fifteen rounds. In 1955 Don Cockell challenged Rocky Marciano who knocked him down five times and out in nine rounds. Cooper fought Muhammad Ali and Muhammad’s speed and sharp punching were too much for him – twice. You may know that several other Englishman who also fought “the Greatest” and failed where Joe Bugner, the aptly named Brian London and Richard Dunn. Bugner was too cautious and was pounded throughout and lost a unanimous decision and both Dunn and London were stopped early and easily. Regardless of the minor British, Commonwealth and European titles they held, even at home and with the frenzied support of their fans, they could not compete at the highest level. So let’s take a closer look at Sir Henry Cooper. 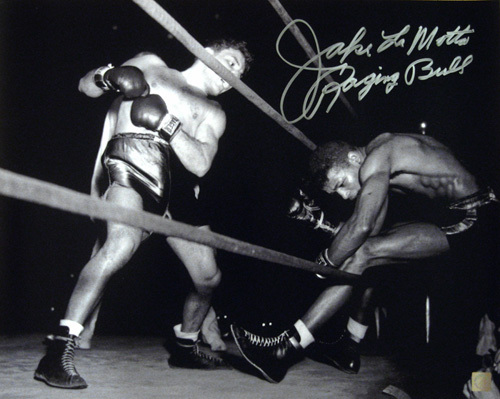 He turned professional in 1954 and his last fight was in 1971, he fought for seventeen years. He had 55 bouts, won 40, lost 14, drew once and had 27 knockouts. Those 27 knockouts were against lower level, home-grown opposition, mostly Europeans or a limited imported American, but never the best. He also fought all but five of his 55 fights in England. That’s 50 fights at home. What does that mean? Maybe he was protected and wasn’t that good? I was interested to find out what he had accomplished that could possibly justify Knighthood by Queen Elizabeth II. Here is what I found; He had beaten a pretty German Karl Mildenberger, Spaniard Jose Manuel Urtain, and fellow Englishmen Joe Erskine and Jack Bodell; all of which were lower level contenders at one time or another. Those fights and a flash knockdown against a 21 year old Cassius Clay are the positives. What really tells the story is who he did not fight. Fighters that were active at the same time and went on to become top contenders or World Champions and Cooper never fought are; Sonny Liston, George Foreman, Joe Frazier, George Chuvalo, Jimmy Ellis, Oscar Bonavena, Jerry Quarry, Cleveland “The Cat” Williams and Ernie Terrell. Cooper’s manager Jim Wicks was offered a match in England withCooper against Sonny Liston and Wicks said “I wouldn’t put Henry into the same room as Liston, let alone the same ring” – that says it all. Now let’s look at those 14 loses. He was stopped eight times, four by TKO and he was knocked out cold four times. Those that knocked him out where; Floyd Patterson KO-4 (see it for yourself on You Tube, it is a devastating knockout), Zora Folley KO-2, Ingemar Johansson, KO-5, and Joe Bygraves KO-9. Cooper also lost five decisions and was disqualified once. The myth that it was the cuts that hindered him is not true. So what is the verdict? If the above record is justification for Knighting Cooper or a claim for greatness then Chuck Wepner should be Knighted as well, since he also knocked down Ali and took him into the 15th round, Henry lasted just 11 rounds total in two fights and was a mess at the end of both – if not stopped early by the referee, he would surely have been knocked out anyway. The fact is that Henry Cooper was a fit and determined fighter with a loyal fan base and scored a flash knock down against a young Ali. That doesn’t make him great any more than it did Doug Jones who also put Ali down. By the way the Doug Jones fight was the fight just Before the Cooper fight and no one talks about that,additionally Doug jones went the distance with Ali losing a close decision. My opinion is that Henry Cooper was good figther, with a loyal fan base. But great? Not even close. Mike, those are the facts. The English give all their fighters the same treatment. Look at Ricky Hatton, as soon as he stepped up a level to Mayweather and Pacquiao it over, both knocked out. However, they do love boxing and are great fans and that I respect.